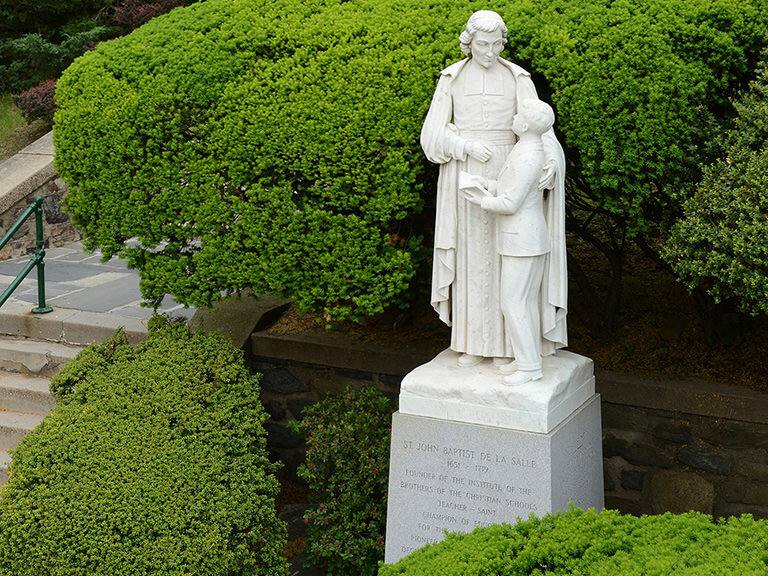 You'll hear the word Lasallian a lot on our campus. Being Lasallian is at the core of who we are and drives everything we do here, both in and out of the classroom. 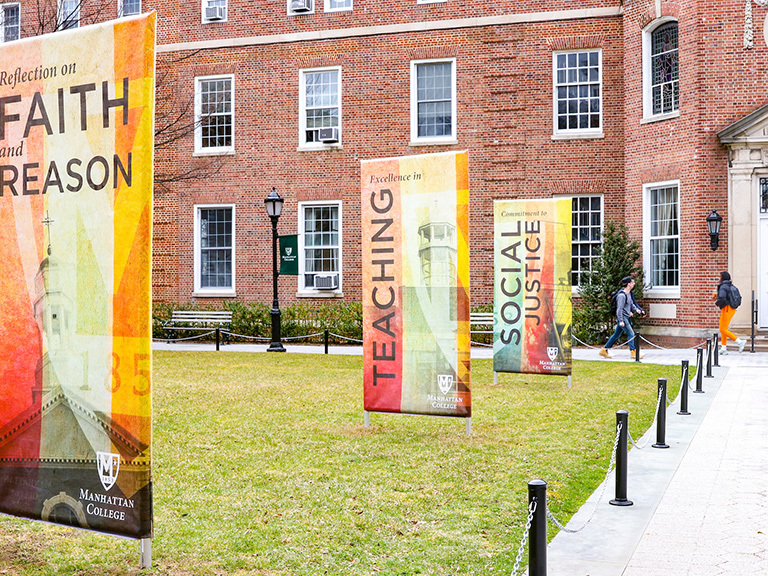 We are a Lasallian Catholic college offering a transformative education that touches your mind and heart. We strive to promote faith, respect, education, community and social justice. 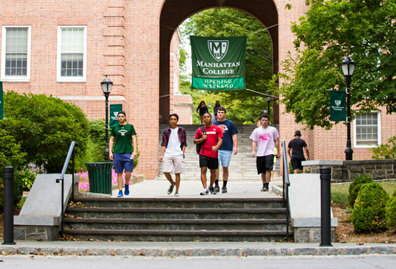 Manhattan College is a Lasallian Catholic institution founded in 1853 by the Brothers of the Christian Schools, a teaching order started by Saint John Baptist de La Salle, patron saint of teachers. 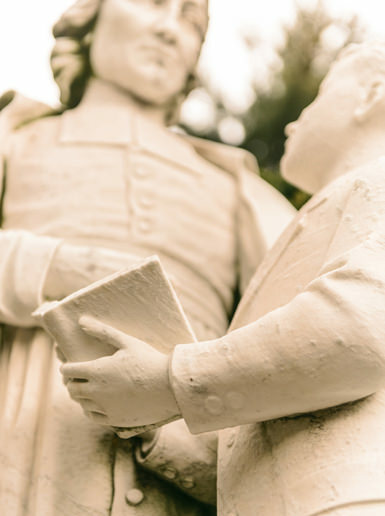 The word “Lasallian” is derived from De La Salle’s name, but is much more than just a label. The Lasallian mission drives everything we do. It’s an integral part of who we are and how we live. Our Lasallian Catholic mission is at the heart of everything we do and provides our students with unique opportunities on campus and beyond. Saint John Baptist de La Salle was born into a wealthy family in Reims, France during the 17th century. He was well-educated, held a doctoral degree and was an ordained priest at the Cathedral of Reims. However, De La Salle found himself called to serve the poor and disadvantaged, specifically children, whose lack of access to education was perpetuating poverty. Responding to these needs, he began to establish schools. He lived the remainder of his life among the poor, ministering to his teachers (his Brothers) and touching the minds and hearts of his students so that they might lead more purposeful lives. De La Salle’s commitment to education as a means to lift the disadvantaged out of poverty has impacted generations of students around the world. Our Lasallian community is built on this commitment to education, to generosity of spirit, and of the power of education to change lives. We believe in the living presence of God within each individual. We also believe that everyone has valuable gifts to contribute to our world, and that education is the best way to foster these gifts. 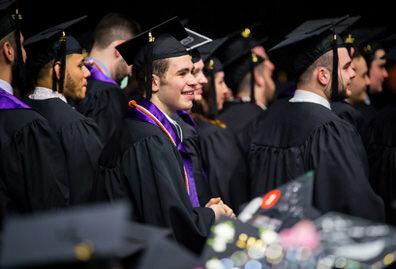 Along with the Brothers, who still actively teach and work at Manhattan, our faculty and staff see it as their vocation to faithfully serve and educate the next generation. Learn more about campus ministry. We believe that every human being deserves dignity and respect. Our Jasper community is comprised of people who have different opinions and ways of thinking, who come from diverse backgrounds and experiences. We value good conversation and debate, and learn from one another. The fundamental notion of respect for all people is also what drives our commitment to service, both on and off campus. Learn more about service opportunities. Education is at the core of who we are as a College community. Following in the footsteps of our founder, we hope to make education as accessible to as many people as possible by supporting first generation students, minority students and financially disadvantaged families. We are committed to providing the best quality of education so that our students can live fruitful lives and make a positive impact on the world. 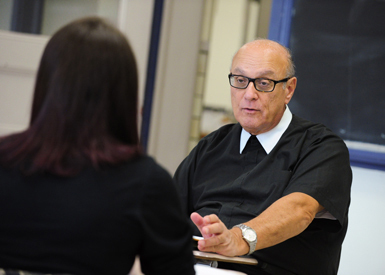 Learn more about educational support. While we are a Catholic institution, we work to make sure that everyone has the opportunity to worship as they please. We offer Mass, Jummah prayer for our Muslim students, and provide transportation to local synagogues in Riverdale. The Multicultural Center, Diversity Committee and LGBT Friends and Allies club work to ensure that all interests across campus are represented. Open-mindedness and acceptance are integral to our work. Learn more about our inclusive community. We stand in solidarity with the poor and advocate for those suffering from social injustices. Rather than just giving charity, we strive to create lasting social change by working to fix the root causes of poverty and injustice. Our Lasallian Outreach Volunteer Experience (L.O.V.E.) 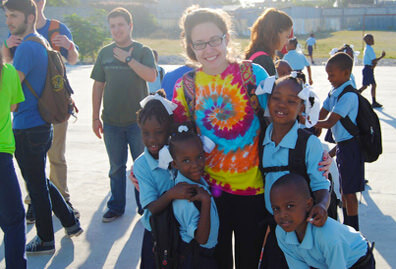 is our flagship service-immersion and social action experience for students. Learn more about social action. Coming to Manhattan College, I didn't think the fact that it was a Catholic school would affect me at all. I had no idea what it meant to be Lasallian. But what I am now involved in — it all revolves around the Lasallian values of Manhattan College. I am so grateful I ended up in this wonderful place which has allowed me such incredible opportunity to grow as a Catholic, and more specifically, a Lasallian. 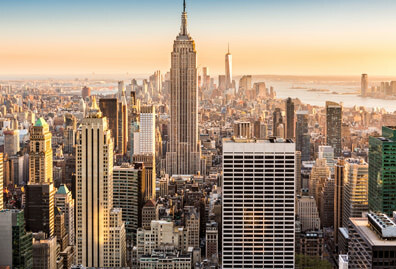 Visit the Inside Manhattan website to learn more about our Lasallian heritage and mission. 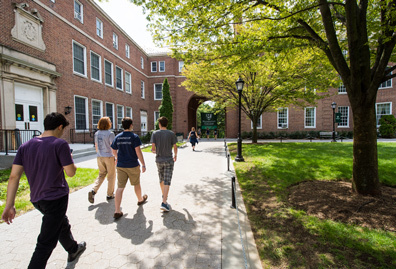 Sign up to receive information about applying to Manhattan College.